WASHINGTON (July 12, 2018) – (RealEstateRama) — Five real estate industry leaders have joined the Americas Executive Committee of the Urban Land Institute (ULI), a global real estate organization with more than 40,000 members in the Americas, Europe and Asia Pacific regions who are dedicated to responsible land use and creating thriving communities. The Americas Executive Committee provides guidance on the strategic direction of ULI’s growth throughout the Americas region, which serves nearly 35,000 ULI members and includes the United States, Canada, Latin America and South America. The new committee members are ULI leaders Clare De Briere, Founder, C+C Ventures in Los Angeles and Chairman of ULI Los Angeles; Sharmil Modi, Principal, Modi Adventureprises, Boston; Daniel Neidich, Chief Executive Officer, Dune Real Estate Partners, LP, New York City; Leslie Woo, Chief Planning and Development Officer, Metrolinx, Toronto; and Jonathan Brinsden, Chief Executive Officer, Midway Companies, Houston. Their terms began July 1, 2018. The new Americas Executive Committee members will be joining existing Committee members David Allman, Chairman, Regent Partners, Atlanta; Marty Burger, Chief Executive Officer, Silverstein Properties, New York City; Patrick Callahan, Chief Executive Officer, Urban Renaissance Group, Seattle; John R. Chandler, Majesteka Investments Holdings LLC, Winnetka, Illinois; Franz Colloredo-Mansfeld, President and Chief Executive Officer, Cabot Properties, Boston; Lizanne Galbreath, Managing Director, Galbreath & Company, Norwalk, Connecticut; Mark D. Gibson, Chief Executive Officer, HFF, Dallas; Immediate Past ULI Americas Chairman Patricia R. “Trish” Healy, Principal, Hyde Street Holdings, LLC, Raleigh, North Carolina, who is currently serving as the Committee’s Chairman of Governance; Marty Jones, Principal, MLJ Insights, Winchester, Massachusetts; James Ratner, Chairman of the Board, Forest City Realty Trust, Cleveland; and Bret R. Wilkerson, Managing Director, Hawkeye Partners, LP, Austin, Texas. The Americas Executive Committee will guide the implementation of the Americas Strategic Plan, which is part of ULI’s Global Strategic Plan, approved by the Institute’s Global Board of Directors on May 1. The multi-year plan strives to strengthen member engagement and expand member impact in the Americas, Europe and Asia Pacific. The Americas plan includes a member development model that better matches programs and services to ULI member needs; an increased focus on member engagement that realigns the region’s sources and uses of funds to provide more opportunities for more members to get involved, share, and contribute; and a stronger emphasis on advancing ULI’s mission and measuring the impact of members’ mission advancement work. The mission of the Urban Land Institute is to provide leadership in the responsible use of land and in creating and sustaining thriving communities worldwide. Established in 1936, the institute has more than 40,000 members worldwide representing all aspects of land use and development disciplines. 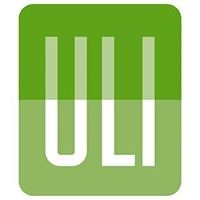 For more information on ULI, please visit uli.org or follow us onTwitter, Facebook, LinkedIn, and Instagram.